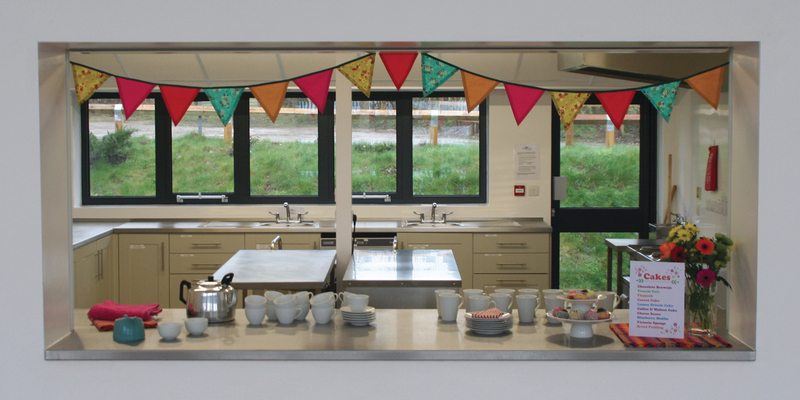 The Village Hall at Norbury has a fantastic kitchen – perfect for catering for any special event. The kitchen is spacious and would easily allow ten or more people to work comfortable preparing food or indeed washing up! The kitchen at Norbury Village Hall has plenty of stainless steel work surface/counter top around the kitchen and also work stations in the middle of the kitchen, plus a large service hatch with electronic opening and closing. – large pots, pans and baking trays. – a selection of wine glasses and tumblers. You can download the latest inventory Kitchen & Bar Inventory. With so much included in your hire fee, hiring the Village Hall at Norbury is an extremely cost-effective place to have a wonderful party, event or indeed meeting. To book the Village Hall Norbury, Shropshire please call 01588 650242 or email hello@villagehallnorbury.co.uk.